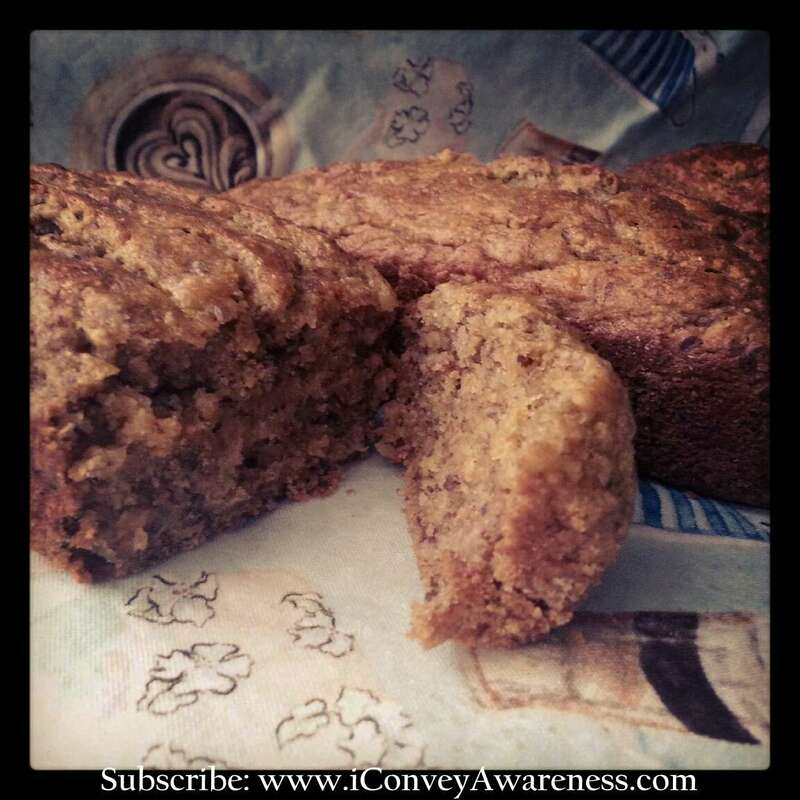 In July of 2011, I shared a recipe for the best banana bread recipe. I did not search long enough because I have been baking the following recipe since April 2012. 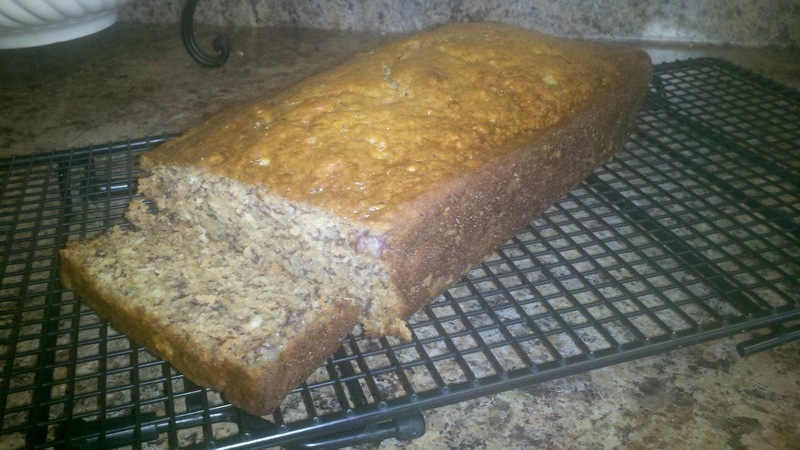 I went online to see if I could find a truly moist banana bread that remains so even a day or two after baking. This one does! Preheat oven to 350 degrees. As of December 2014, I made some substitutions that came out delish!! So, check out my notes below the ingredients. Notes: Right after Christmas, I was short on several ingredients, so I tried my hand at a few substitutions. They're in bold for easy spotting. This recipe requires no mixer! In a large bowl, smash the bananas with a fork. Add the melted butter and mix with a wooden spoon (they say metal spoons can react with bread batter plus I find it easier mixing the batter with one). Add sugar, applesauce, vanilla and egg. Sprinkle baking soda and salt over mixture and mix in. Add the flax meal and flour last until mixed. The smashed bananas may cause a few lumps in the batter - that is okay because it will create the pockets of banana after it's been baked. This is a good thing! This recipe is by far the best because It Has Pockets of Banana All Throughout! YUM-O!! As you have gotten to know me, I like to change recipes and put my own personal spin on them. Any recipe can be personalized! What is your signature ingredient? Like, follow and share my Facebook page to join the interactive daily conversations!